Let's try something new!I am putting together this October Bundle to see if it is something you find helpful. 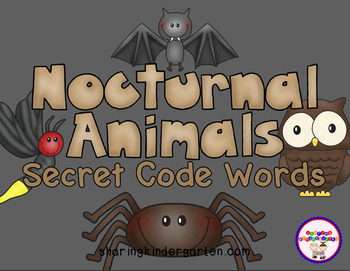 Secret Code Words: This game will review numbers 1-26, letters, writing letters, and nocturnal animals. Print (onto card stock) mats for each student. Print, cut and laminate desired animal cards. Omit any cards you do not want to include. I suggest copying a set for each student onto colored paper, allowing each student at a group or table to have a different color to use. Place mats and animal cards at a center or small group. Instruct the students to find the secret code words using the mats. I usually assist them the first time we play a secret code word game, but take away support as they gain comfort. 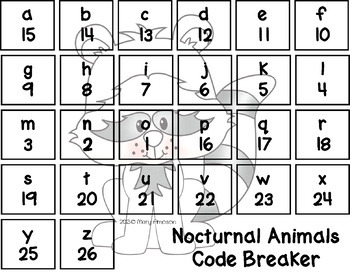 There are nine cards and one worksheets to allow students to break the code with. 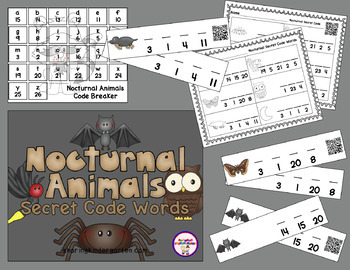 The cards answers are: bat, mole, moon, moth, mouse, owl, rabbit, raccoon, spider, and skunk. 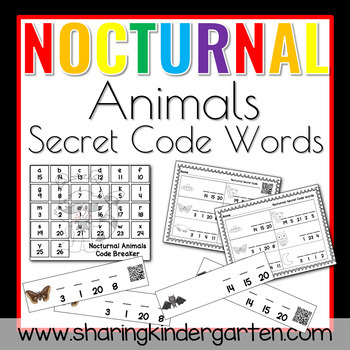 The worksheet has 6 codes which are bat, skunk, moth, owl, mole, and moon.